Table shows genes that are highly enriched (but not necessarily unique) in this cluster, relative to all other clusters. 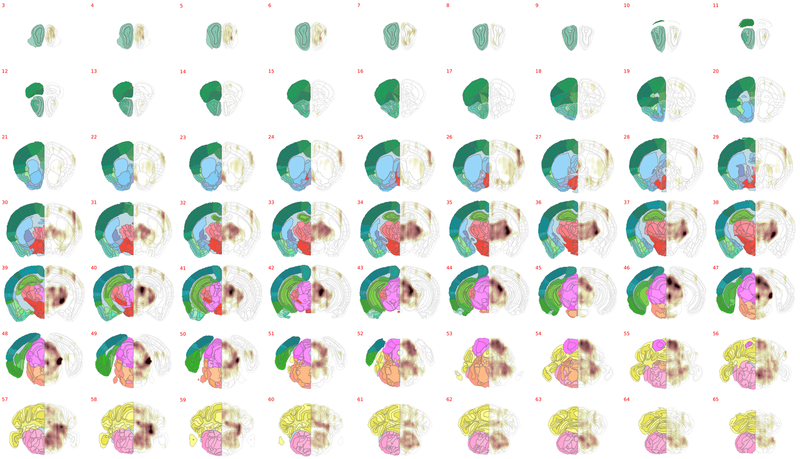 Images show the correlation of gene expression for this cluster with each voxel in the Allen Mouse Brain Atlas. Click on the image for a high-resolution version.